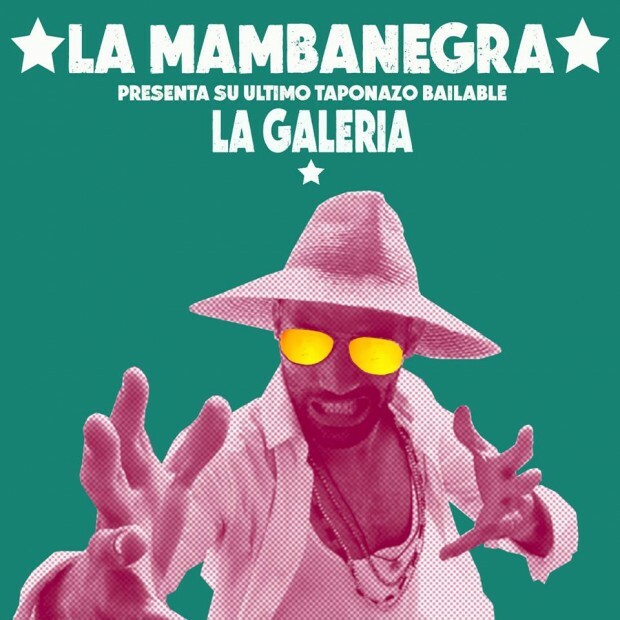 A grey, dank Friday evening welcomed Colombia’s La Mambanegra as guests of the Biennial Manchester International Festival. The tent interior was wrapped in black and fans gathered, sitting cross-legged, waiting for the band. 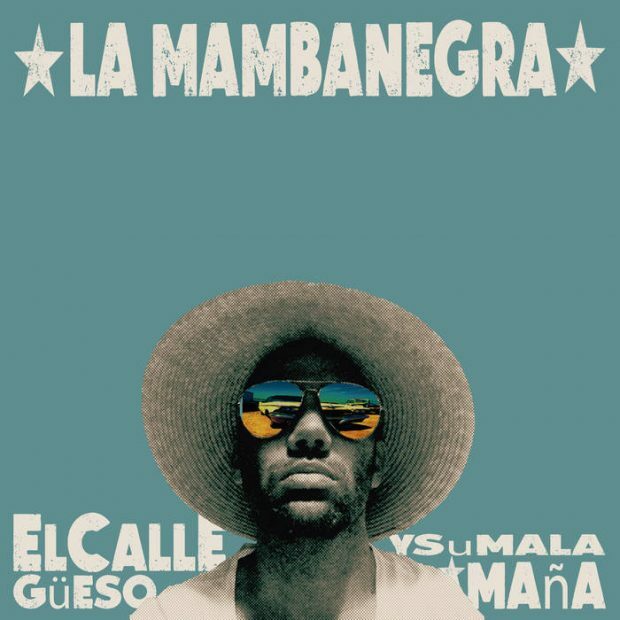 Hailing from Cali, the nine-piece La Mambanegra (The Black Mamba) take to the stage, safe in the knowledge their album is totting up glowing reviews – its brand of urgent, tough, salsa-infused barrio funk putting them at the forefront of contemporary Latin music. Bandleader, Jacobo Vélez, is unmistakable, dressed in white with his trademark sombrero and sunglasses – he’s a commanding stage presence. 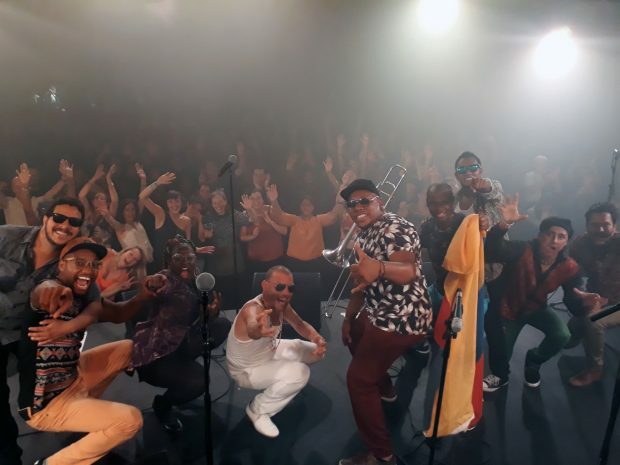 The opening bars see the crowd jump to their feet – infectious rhythms from their El Callegüeso Y Su Mala Maña album ignite the tent – raw, edgy salsa rhythms spiced with funk and hip hop set the place grooving. Jacobo is a mesmerising front man, exuding charm and a vocal presence, imploring the crowd to dance and sing along, effortlessly switching between singing and rapping throughout the night. 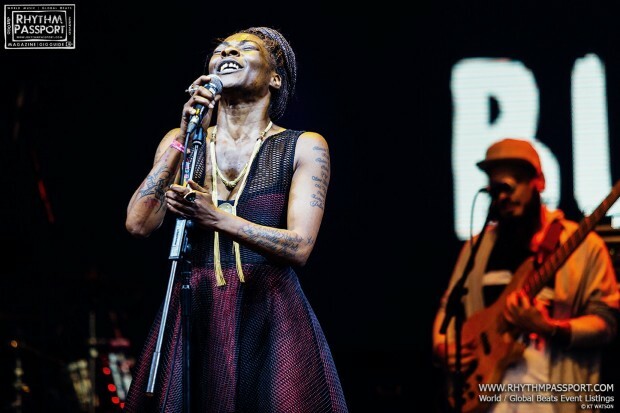 It’s difficult to convey how electrifying the performance is – uplifting, joyful, and positive – this is music that creates harmony, unity, and happiness. It may be raining outside, but there’s a heady brew of sun-drenched vibes and good humor on the inside. Each band member gets to display their virtuosity, stepping forward for generous solos throughout the set. Some funky, slap bass, jazzy keys, trumpet and trombone, and Jacobo’s surprise freestyle saxophone solo, where he blows, screams, and wails like the best Blue Note jazzmen. There’s an irresistible moment, when the band strikes up some opening bars, in a 4/4 time signature – it’s as if they’re nodding to Manchester’s musical heritage with a brief but tantalising four-to-the-floor house thud. But, the upbeat vibe needs time to breathe, the band cools down, the fan’s need to catch a breath – on slower numbers, Jacobo directs the crowd to sway in harmony, brass stabs puncture the air, there’s a wistful sense of whiling away a sultry afternoon in a Cali bar, cocktail in hand. 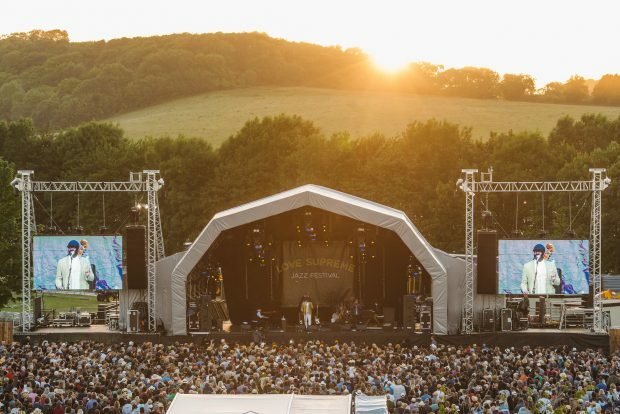 The party vibe continues as they segue into Kool & the Gang’s ‘Celebrate’ – the audience are beckoned on stage as the gig nears its encore – sharing smiles and laughs, the band and audience are reluctant to leave the stage. 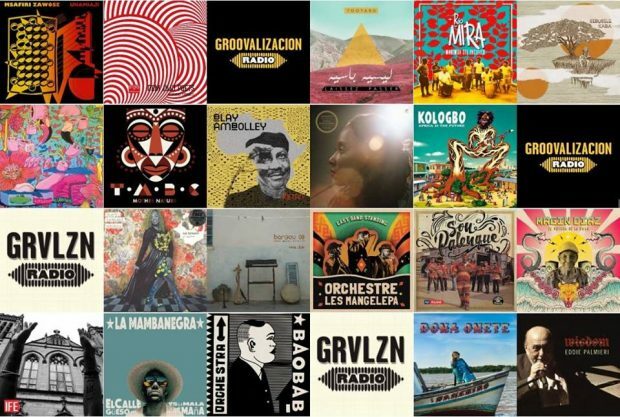 Hunt this band down and check the new wave of the 21st century Colombian-break-salsa and experience a show for the head, heart, and feet.